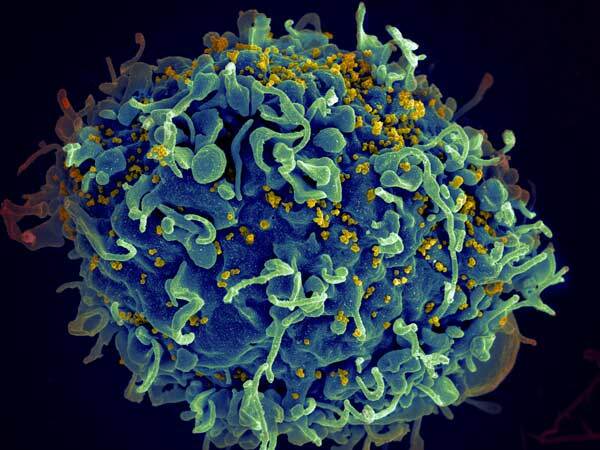 HIV, the virus that causes AIDS, has a secret life. Though anti-retroviral therapy can reduce its numbers, the virus can hide and avoid both treatments and the body’s immune response. Researchers at UC Davis Health, together with colleagues at UC San Francisco and the University of North Carolina at Chapel Hill, have found that increased crotonylation, an epigenetic mechanism that governs gene expression, might be the key to making HIV come out of hiding and become susceptible to anti-HIV drugs. Their study is published in The Journal of Clinical Investigation. While medical science has transformed HIV/AIDS from a deadly disease to a chronic one, there are still millions of people living with the virus. HIV’s ability to become dormant makes it invisible to both the immune system and treatments. Researchers have dedicated years to deciphering the mechanisms that help HIV hide and finding ways to reverse that process. In this study, the researchers focused on histone crotonylation, an epigenetic mechanism that modifies the proteins that package DNA, affecting gene expression. To better understand this mechanism, the team focused on an enzyme called ACSS2, which plays an important role in fatty acid metabolism in the gut. HIV has often been linked to impairment of lipid metabolism, making ACSS2 a promising potential target for an HIV cure. To test it out, the researchers studied peripheral blood samples from HIV-infected patients and several HIV latency cell models. Activating the ACSS2 enzyme increased viral transcription manifold. The results from patient samples were particularly encouraging. To further validate the results, the researchers treated samples with an ACSS2 inhibitor, which reduced detectable virus levels, highlighting the important role of decrotonylation in establishing HIV latency. One of the more intriguing findings in the study was that increasing histone crotonylation works synergistically with other known anti-HIV latency molecules, such as the protein kinase C agonist PEP005 and the HDAC inhibitor vorinostat. Dandekar and her colleagues are now searching for more molecules that attack viral latency to develop an overall strategy of combining therapeutic agents to compel HIV expression.